PC Bobby has finally left Scotland!. PC Bobby has arrived in the Republic of Ireland! 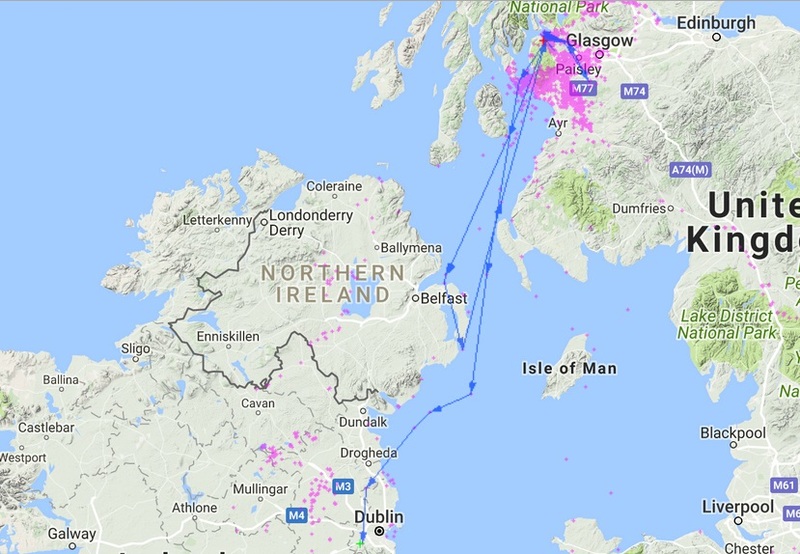 After his overnight round trip to Northern Ireland on the 29th of October PC Bobby has finally decided to start his migration! On the 6th of November he flew to the Republic of Ireland, just south of Drogheda and he was last picked up in an urban area around Rathcoole in County Dublin!